BlackBerry(s bbry) might be looking to compensate for flailing devices sales by making money in a whole new way: patent litigation. 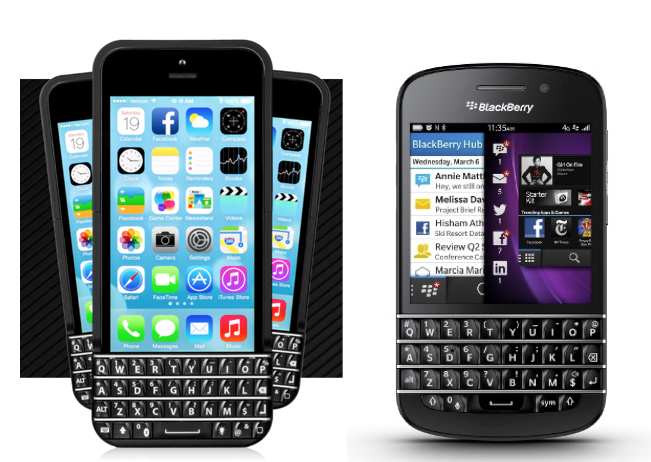 The company on Friday announced that it has filed a lawsuit against Typo, the Ryan Seacrest-backed keyboard startup, alleging that its iPhone(s aapl) keyboard case copies BlackBerry’s keyboard design. This is a blatant infringement against BlackBerry’s iconic keyboard, and we will vigorously protect our intellectual property against any company that attempts to copy our unique design. From the beginning, BlackBerry has always focused on offering an exceptional typing experience that combines a great design with ergonomic excellence. We are flattered by the desire to graft our keyboard onto other smartphones, but we will not tolerate such activity without fair compensation for using our intellectual property and our technological innovations. This isn’t the first such iPhone accessory to hit the market, but it looks more promising than most; particularly if you are or were a happy BlackBerry smartphone user. In fact, I wonder what the BlackBerry folks think of the Typo, since it it looks extremely similar to what you’d find on an old ‘Berry. If you’ve ever typed on a classic BlackBerry keyboard, there’s little doubt that it’s among the finest mobile keyboards ever made. I’ve yet to get my hands on a Typo keyboard, but check out the pictures below to see if you notice the similarities. Hmmm, I’ll agree with BB on this one. Looks too similar. Didn’t Typo anticipate this? Hurray! RIM is back to their old forte of suing! (I missed “Lawsuits in Motion” as their nickname.) I don’t like Seacrest at all, and wish he’d go away off my TV. So I’m a little perplexed as to who I should be cheering for.